What's the Mixolydian b2 scale? 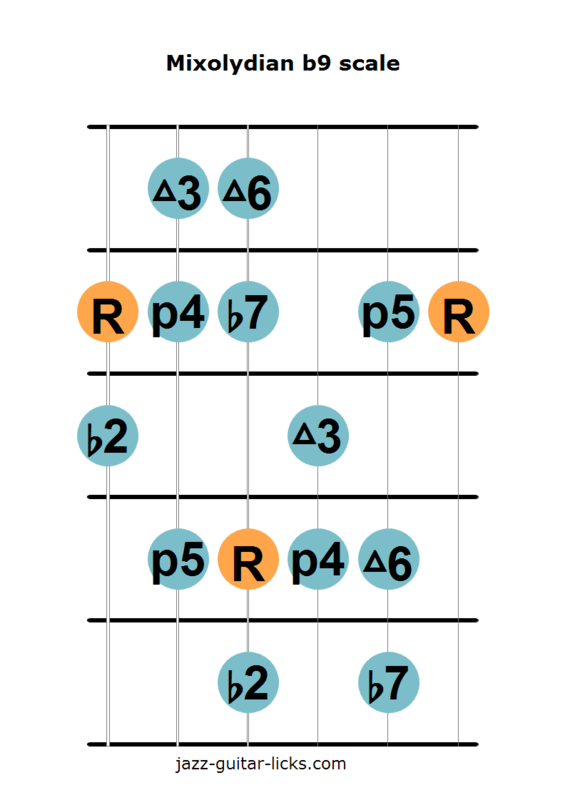 The Mixolydian b2 scale is the 5th mode of the harmonic major scale. It is sometimes referred to as Dominant b2 mode or Mixolydian b9. The interval pattern is 1 - b2 - 3 - 4 - 5 - 6 - b7. 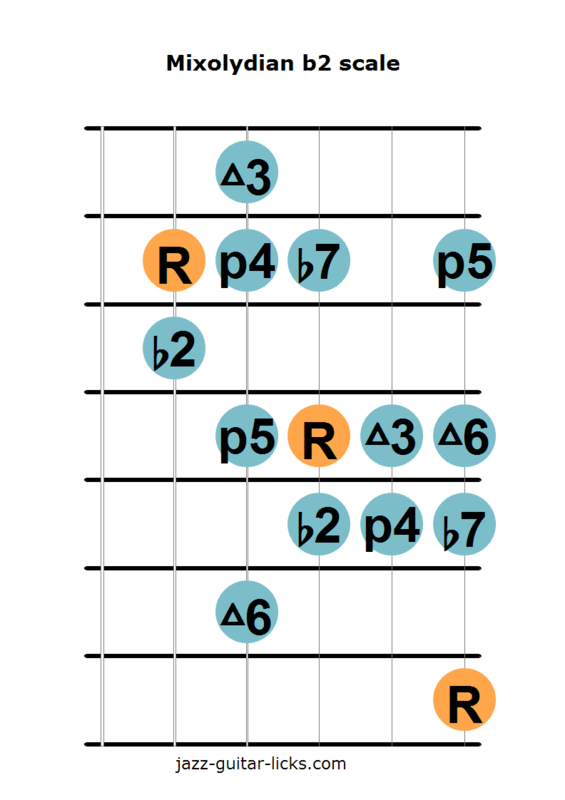 This scale works precisely with dominant 13b9 chords, just to say it is rarely used in jazz music. Please note that it should not be confused with the Mixolydian b2 b13 (aka Phrygian dominant) scale that is the fifth mode of the harmonic minor scale. Indeed, this scale as its name implies, contains a b6 instead of a natural 6. This short line show the relationship between the Mixolydian b9 scale and its related dominant 13b9 chord. These two neck diagrams show how to play the Mixolydian b9 scale on the guitar.